September 2, 2016 By Aileen 2 Comments This post contains affiliate links. As an Amazon Associate and member of other affiliate programs, I earn from qualifying purchases. Since September 1st was the unofficial start of pumpkin spice season, I’m sharing an easy and delicious recipe for glazed pumpkin spice cookies. When I made these cookies, it was about 80 degrees outside. The smell of pumpkin wafting through my house was enough for me to close my eyes and imagine cool weather. 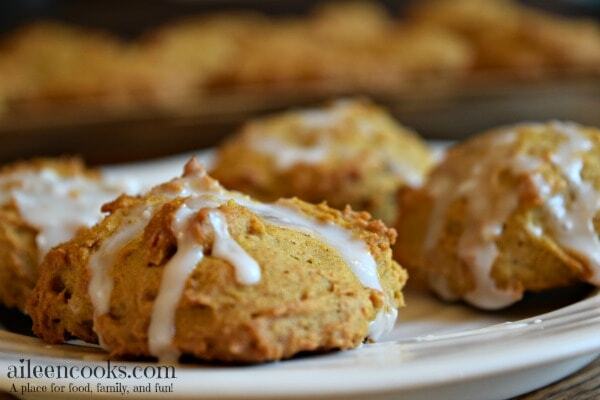 Glazed Pumpkin Spice Cookies are a simple pumpkin cookie topped with a sweet glaze. In a medium bowl, mix together the flour, pumpkin pie spice, baking powder, baking soda, and salt. Set aside. In the bowl of a stand mixer (or in a large bowl with a hand mixer), cream together the butter and granulated sugar. Add the pumpkin, brown sugar, egg, and vanilla extract. Mix until fully combined. Drop heaping tablespoons full of cookie dough on a cookie sheet and bake 15-20 minutes, until a fork inserted in the center of a cookie comes out clean. Allow the cookies to fully cool and drizzle the glaze on top. To make the glaze: Combine the powdered sugar, milk, butter, and vanilla extract in a medium bowl. MIx with a fork until a glaze is formed. 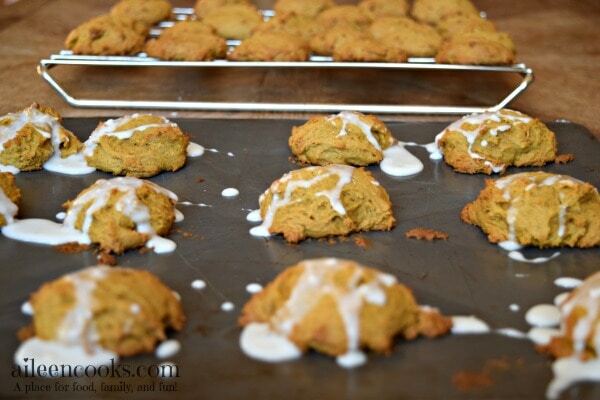 Use the fork to drizzle the glaze on the cooled pumpkin spice cookies. Store uneaten glazed pumpkin spice cookies in an air tight container. On the hunt for more pumpkin recipes? 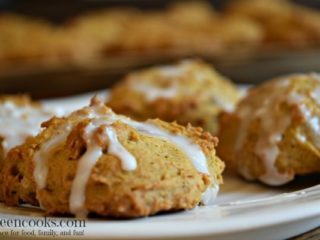 Try these whole wheat pumpkin pancakes or these pumpkin spice muffins. Source: Adapted from allrecipes.com. I slightly adjusted the spices and method. 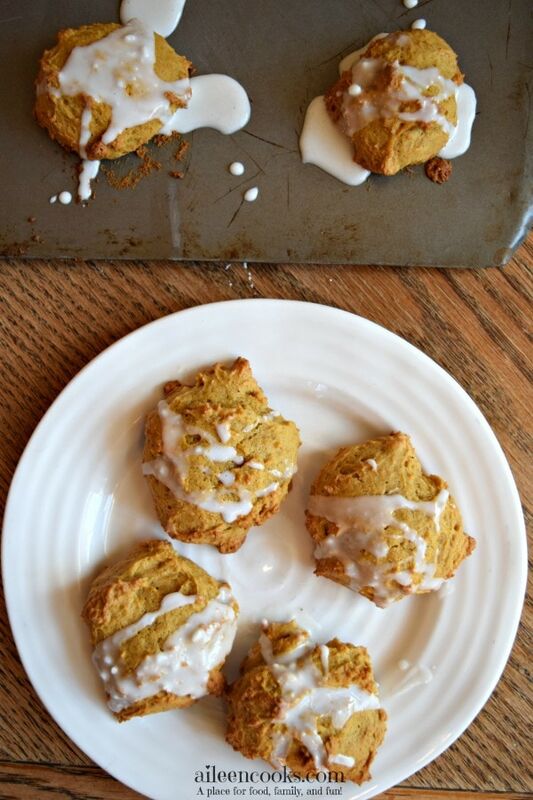 Tried this recipe for Glazed Pumpkin Spice Cookies? Please consider leave a rating and comment.